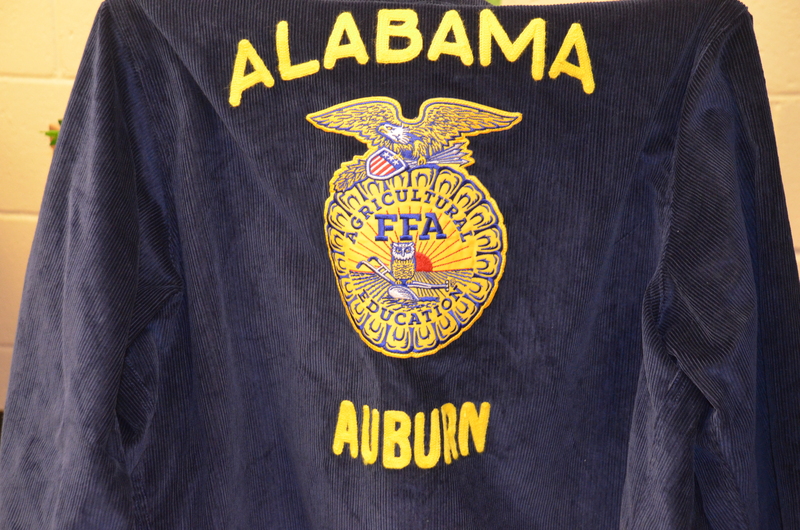 The Auburn University Agriscience Education program recently recognized five of its outstanding students who received the American FFA Degree for their achievement in FFA at the National FFA Convention on October 28th, 2017. 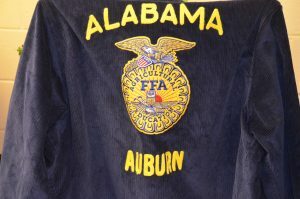 Awarded to members who have demonstrated the highest level of commitment to FFA and made significant accomplishments in their supervised agricultural experiences (SAEs), the American FFA Degree is awarded at the National FFA Convention & Expo each year to less than one percent of FFA members, making it one of the organization’s highest honors. At a reception on the fifth floor of Haley Center on All Saints Day, Agriscience Professors James Lindner and Christopher Clemons spoke to the students about their achievement. 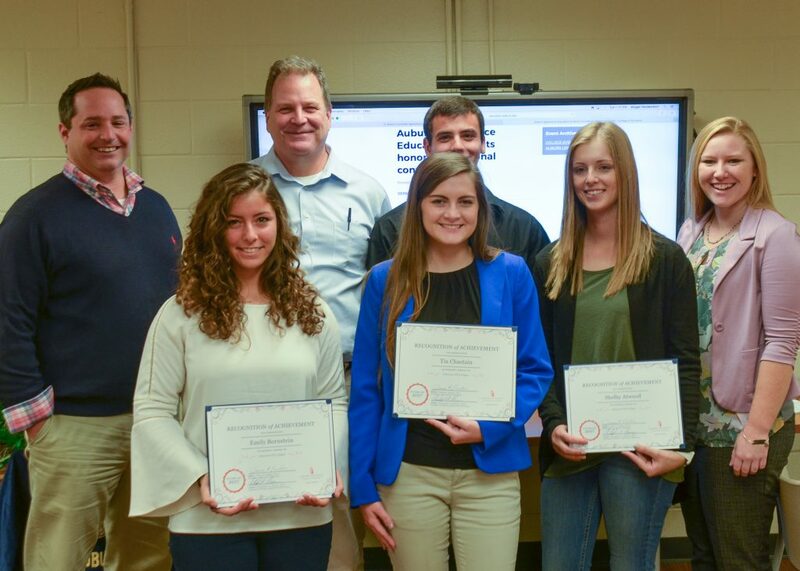 The students, pictured above with Lindner and Clemons and graduate student Abby Heidenreich, are Shelby Atwood, Jordan Stowe, Josh Davis, Emily Bornstein, and Tia Chastain. Congratulations on work well done, and on to a strong future in Agriscience Education!